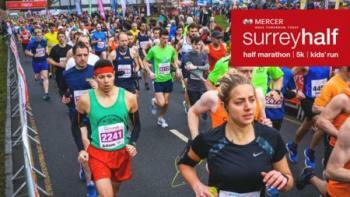 The Mercer Surrey Half Marathon is a friendly and local event, which promises a high quality experience for every runner. The fast, flat course invites great mix of novices and returning runners back each year, and boasts one of the fastest half marathon course records of 01:02 hrs. With one of the only closed-road 5km races available, this race is fast and furious – and boasts unparalleled PB potential .If you want the “half marathon experience” with less running – this is the race for you . including: a lead car, professional route marking, a water station, and a fantastic mix of urban and rural scenery. 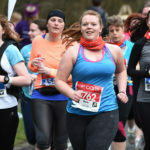 Taking new runners an average of 30 minutes to complete, the Mercer Surrey Half Marathon 5km is a very achievable race. If you are not ready to train for and complete a half marathon, but want to enjoy the mass-participation racing experience – the 5km is the race for you. Everyone aged 10+ is welcomed to get involved and give this race a go.